Pepper Wooters submitted this photo and caption. 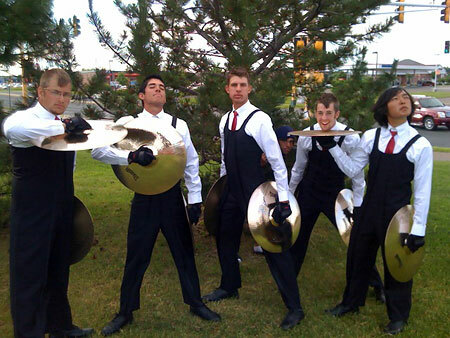 Here's the 2008 Madison Scouts cymbal line having a good time at the Mankato, Minn. show. If you look closely, you can see the sixth cymbal player that was not in the show yet.